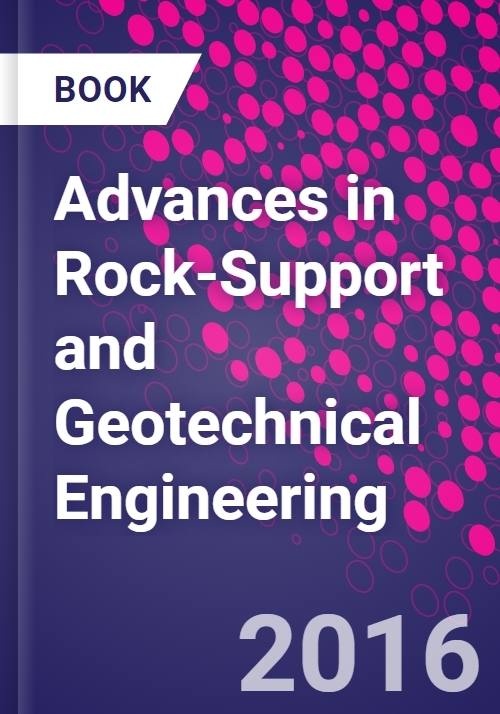 Advances in Rock-Support and Geotechnical Engineering brings together the latest research results regarding the theory of rock mechanics, its analytical methods and innovative technologies, and its applications in practical engineering. This book is divided into six sections, rock tests, rock bolting, grouted anchor, tunneling engineering, slope engineering, and mining engineering. Coverage includes fracture hinged arching process and instability characteristics of rock plates, failure modes of rock bolting, scale effects, and loading transfer mechanism of the grouted anchor. Also covered are recent innovations and applications in tunneling engineering, slope engineering, and mining engineering. This book provides innovative, practical, and rich content that can be used as a valuable reference for researchers undertaking tunneling engineering, slope engineering, mining engineering, and rock mechanics, and for onsite technical personnel and teachers and students studying the topics in related universities. He mainly focuses on the challenging areas of mining engineering, geotechnical engineering, rock mechanics and numerical simulation analysis. His research projects have been supported by National Natural Science Foundation of China (51474188; 51074140; 51310105020), National Natural Science Foundation of Hebei Province of China (E2014203012), and Science and Technology Department of Hebei Province of China (072756183), etc. He is the recipient of 6 state-level and province-level awards and 2015 Endeavour Research Fellowship provided by the Australian Government. He has published more than 90 academic papers and books. These include 85 articles in peer reviewed journals, 6 monographs and textbooks. He has been authorized 4 patents and 1 software of intellectual property rights in China. His principal research interests lie in mine geotechnical engineering and other areas in mining engineering. He has over 30 years' experience within the mining industry and university sectors. Prior to his appointment to UNSW in 1998, he worked locally and internationally in the coal, gold and iron ore sectors in a range of operational, management, technical and research roles. He has been the principal research investigator leading projects in the rock-cutting research facility. The research has made significant advances in the application of acoustic emissions in monitoring and control of rock cutting machines and in the determination of controlling factors associated with abrasivity testing of rock. He has authored 80 peer-reviewed papers, 110 project reports and 3 patents. After he graduated from Xi'an Jiaotong University in China and obtained a Bachelor degree of Science, He worked in computer engineering and had nine years experiences in the field of construction and management. He obtained the honour Bachelor of engineering in 2009 and received his Ph.D. degree for his Distinguished Award of PhD thesis at the University of Wollongong in 2013. He mainly engaged in rock mechanics, mining engineering and numerical simulation. He made many breakthroughs at dealing with the problems in the complex geological and engineering conditions, especially in large shear displacement by mining pressure and others factors effects on rock bolting and anchor support. He has published more than 20 academic papers in the research field.